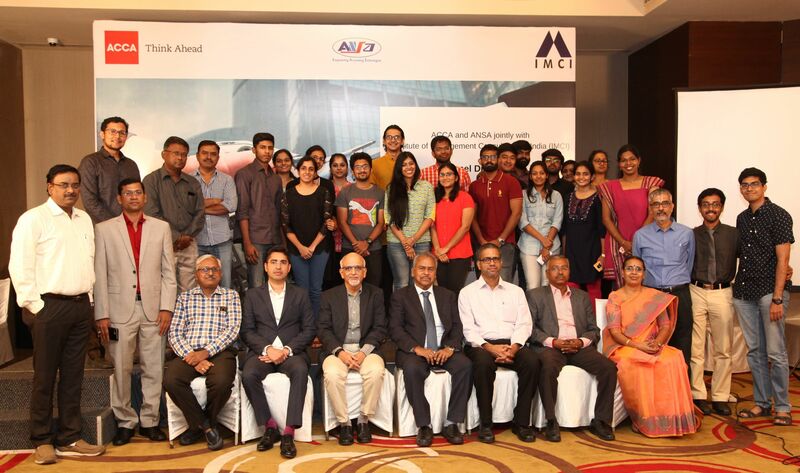 ANSA Chennai hosted a panel discussion on “Robotics in the evolution of Finance” that was jointly conducted by IMCI and ACCA, on 17th March 2019. The proceedings began with a presentation by Dr. R. S. Murali, the Chairman of IMCI Chennai Chapter on the relevance of Management consulting in Changing times. Mr. T. S. Rangarajan, member of the National Executive Council of IMCI and the keynote speaker for the day, spoke on the topic “Disruptive innovation in business”. This was followed by a presentation on “Robotics in the evolution of finance” by Mr. Kush Ahuja, Head of Business Development, ACCA India, which covered Robotic Process Automation (RPA) in detail elucidating the results of the research undertaken by ACCA. The main event for the day – the panel discussion led by Dr. R.S. Murali, Mr. K. U. Srinivason, Treasurer, IMCI Chennai Chapter and Mr. R. Kasthuri Rangan, Vice Chairman of Chennai Chapter of IMCI was moderated by Mr. Kush Ahuja. The panel discussed on how robotics could help shape the future of education, industry, finance, human resources, etc. The feedback from the participants was encouraging and both IMCI and ACCA members were positive about future collaborations.